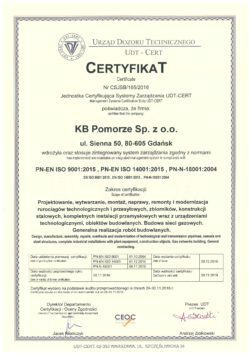 Integrated Management System - KB Pomorze Sp. z o.o. : KB Pomorze Sp. z o.o. 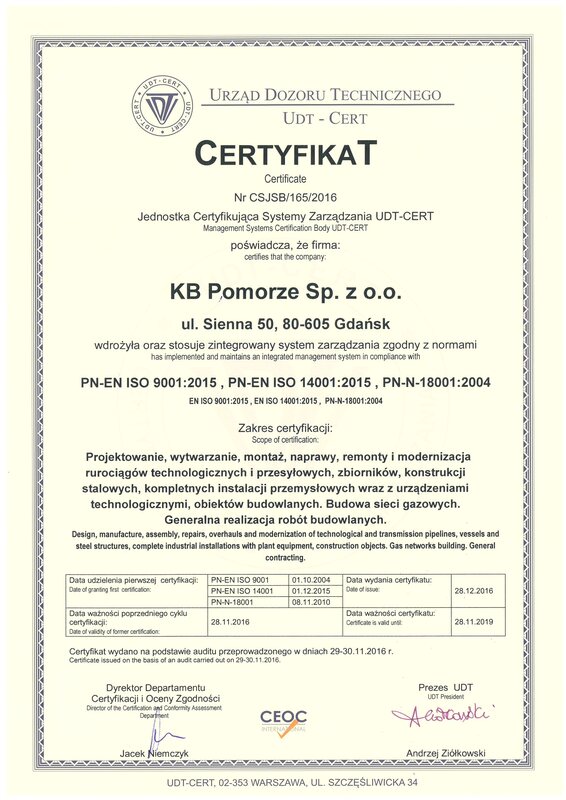 High quality of the services provided by KB POMORZE is guaranteed by the UDT-CERT Certificate proving the implementation and application of the integrated management system, compliant with the following standards: PN-EN ISO 9001: 2009, ISO 14001: 2005, PN-N-18001 : 2004 in the range of: Design, manufacturing, assembly, repairs, overhaul and modernization of pipelines, vessels and steel structures, complete industrial installations with plant equipment and construction objects. General contracting.